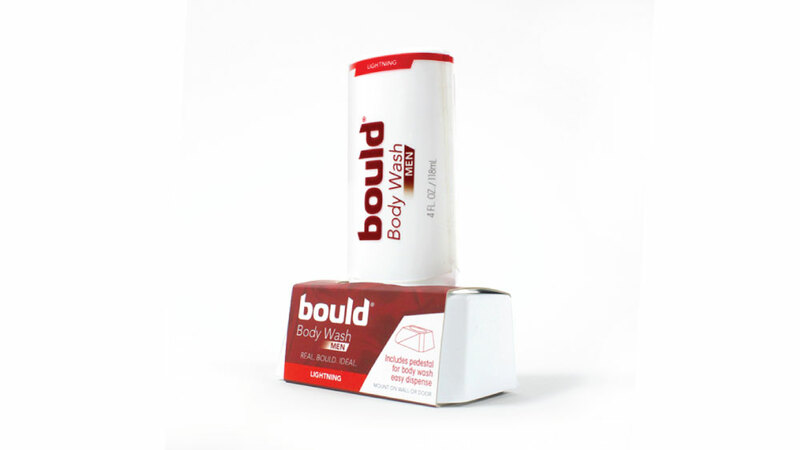 Inspired by Greek and Roman mythology, Bould body wash is intended to instill personal ideals in its users. Instead of promising unattainable “God-like” puffery, Bould promises a “personal best.” The brand positioning and purpose is to invite rather than alienate. 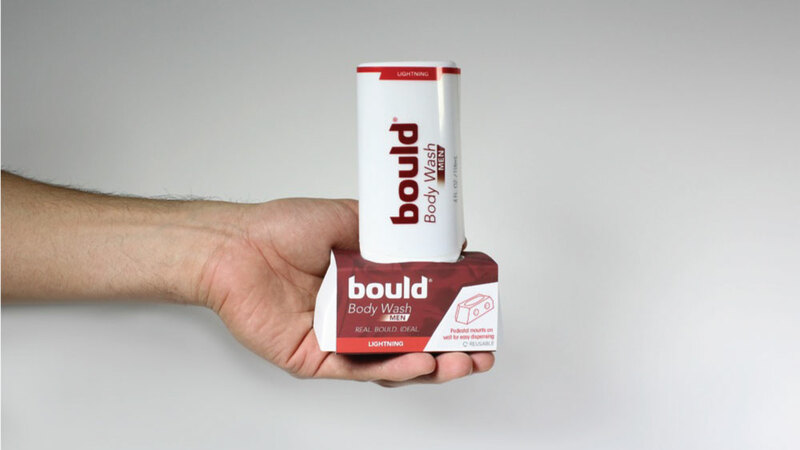 It encourages users to be real, reach their ideal self, and be Bould. The uniqueness of the package lies in the pedestal. 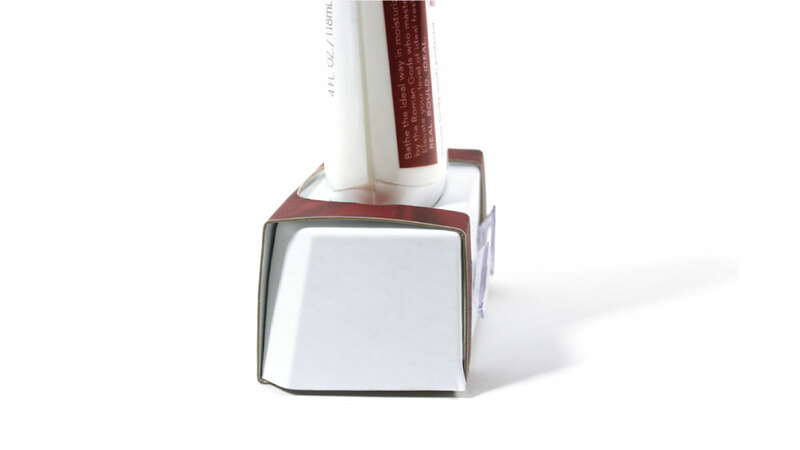 This orients the product in a way that gains visual attention on shelf, and has after market value as a shower caddy. 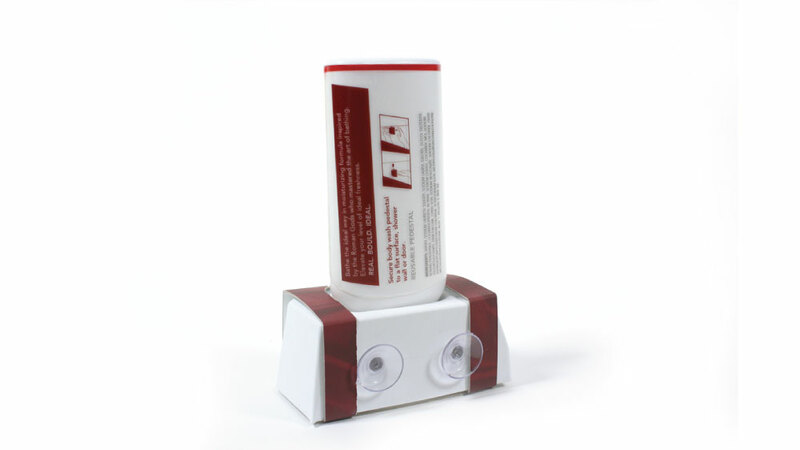 The pedestal has suction cups that adhere to shower walls or doors holding the bottle in place for easy dispensing, right down to the last ounce. The pedestal also encourages brand loyalty, as refills will be available in a discounted bundle post launch. This will also promote trail of different scents. The package is cost effective as there is minimal waste material.